When your team and your strategy are aligned, big things can happen! Save time and money by getting your entire team on the same page, working towards the same goals! 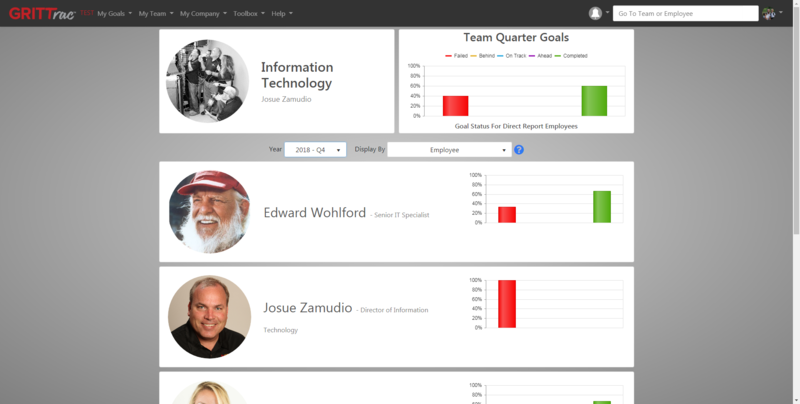 Get a high-level overview of your entire company on one screen. It will change your business! We will be there with you every step of the way to help you get the most out of GRITTrac. How do you know if your team is winning if you never track your goals? 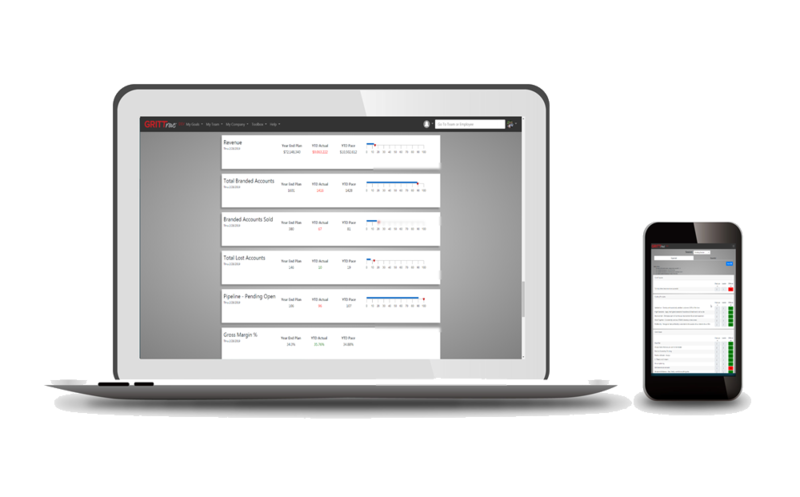 GRITTrac allows you to track your performance over time and create action plans to reach your company's goals. 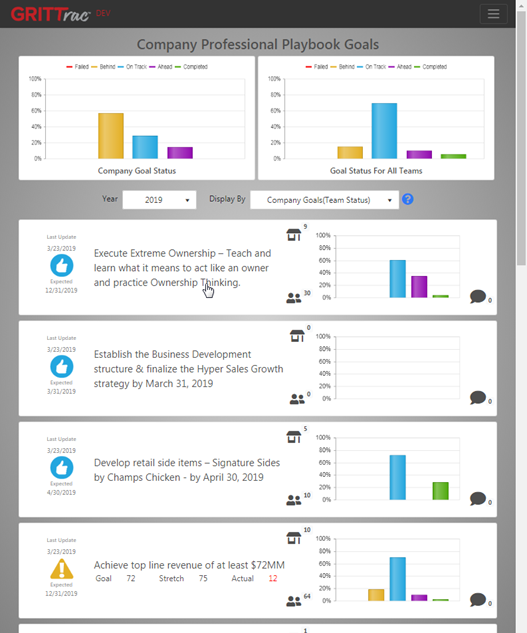 Complete access and tracking of all department and company goals to drive action and success. 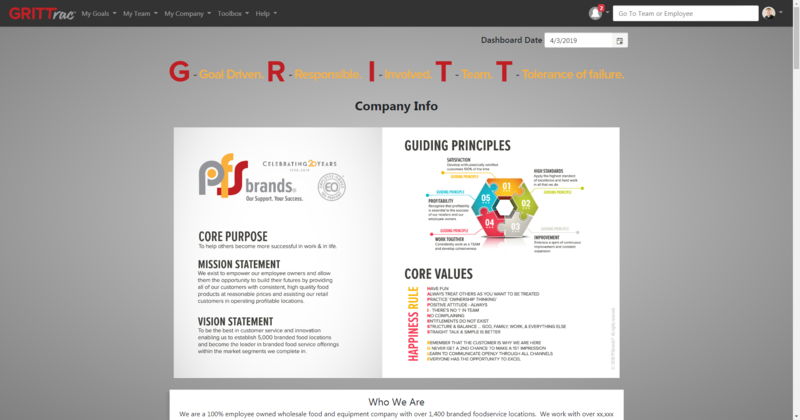 Built to give you a quick, efficient overview of the entire company. Help your teams stay connected and working towards the same goals! Take in the high-level big picture of the company to help drive your vision. From daily to quarterly to even personal goals, drive action with GRITTrac. Take your goals, employees, and company to the next level. GRITTrac can put your company on the right track to success. It starts with setting and tracking company goals! Percent of US population DO NOT have goals. Percent of the population write their goals down. Percent of the population set & write down goals! Percent more likely to achieve goals if written down. 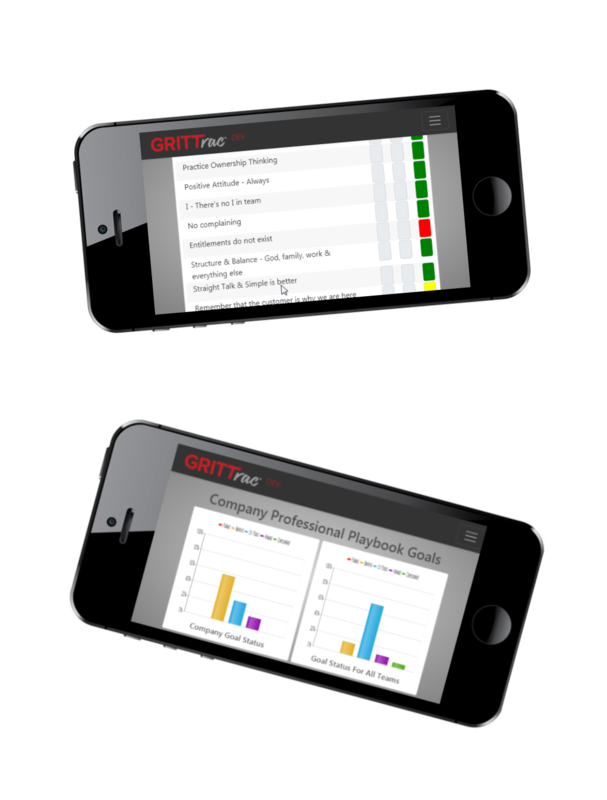 Dramatically increase the effectiveness of your 1 on 1s with GRITT Sessions which walks you through personal and quarterly goals of your employees and helps you create behavioral goals in a personalized, conversational manner! With our step-by-step approach to GRITT Sessions, you and your employees can have a personal discussion that's highly efficient. Get each employee on the same track and mindset with goals that are great for the company and created by them! GRITTrac is your one stop solution for tracking company performance. You can import your entire playbook, org charts, goals...etc. along with tracking your financial performance to give you the high-level overview you can't believe you've lived without. GRITTrac is the perfect tool for small, medium and large organizations to track and improve their performance! All the essential GRITTrac features you need. Billed Annually. Over 100 users per month? Contact us for enterprise pricing. 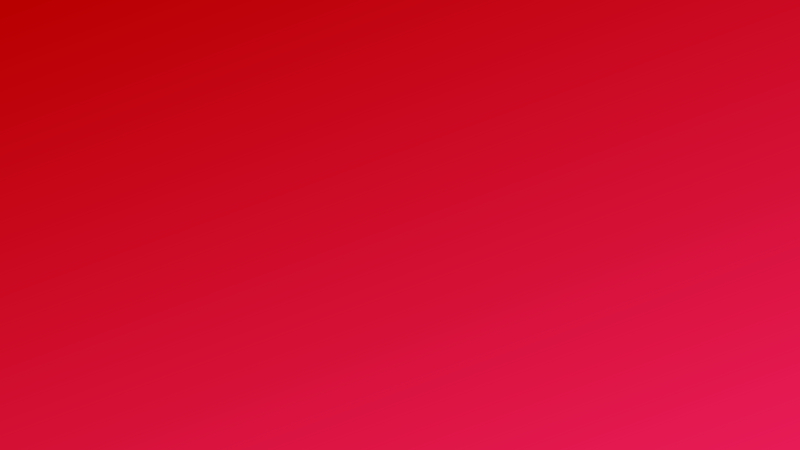 All features of Pro plus GRITT Sessions module. Billed Annually. Over 100 users per month? Contact us for enterprise pricing. GRITT Business Coaching © 2019.